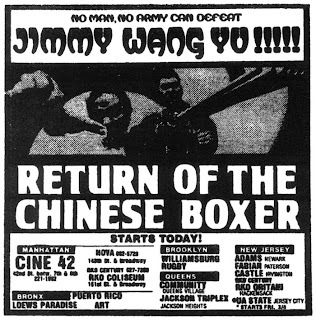 THE CHINESE BOXER (1969), a trendsetting and immensely popular Hong Kong martial arts film, was Jimmy Wang Yu's directorial debut as well as his final appearance in a Shaw Brothers production (It was released in the U.S. by Enchanted Filmarts in 1973 as THE HAMMER OF GOD). 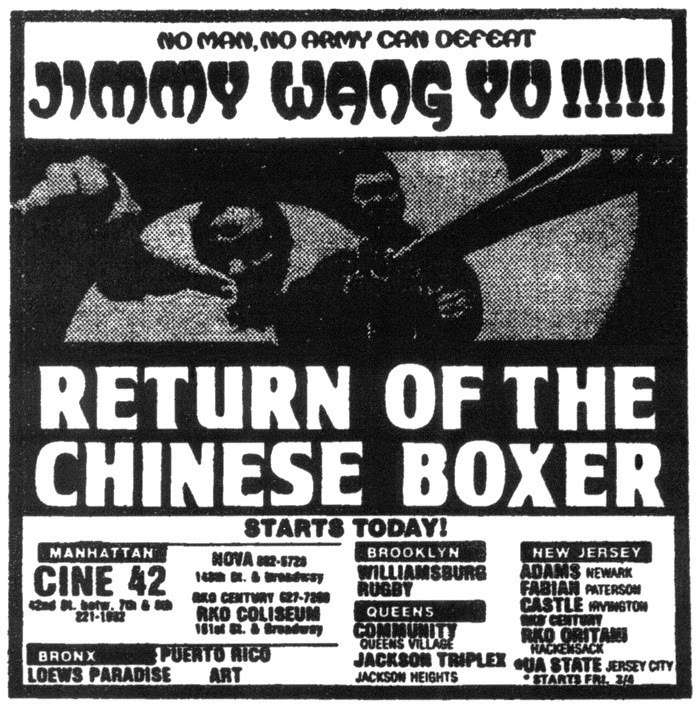 The sort-of sequel RETURN OF THE CHINESE BOXER, shot in Taiwan in 1974 and also directed by and starring Yu Wang, was nearly 10 years old when William Mishkin Motion Pictures opened it in the New York area on February 25, 1983. The Endangered List (Case File #139) -- Found!